Today it seems that the topic of Calvinism within Southern Baptist life stirs up a curious amount of passion among its proponents and opposers alike. As I stand back and watch, I believe I perceive what must be a pervasive ignorance among many who engage in attempting to create fear over Calvinism as if it were a gospel-perverting heresy. As a pastor, it is easy also to observe that most people in the pews of Southern Baptist churches are uninformed on the issue, making them extremely susceptible to reacting fearfully to misinformation and mischaracterization. The primary purpose of this blog post is to inform. I really don't mind if you are a Calvinist or non-Calvinist. For me, it is not a test of fellowship. However, as Baptists I think it is critically important for us to be informed of the place of Calvinism within the Baptist heritage. 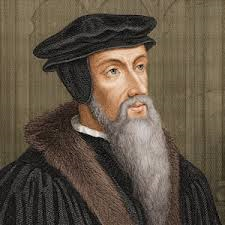 The term Calvinism, for better or worse, is derived from the sixteenth-century French pastor/theologian John Calvin. Calvin was a Reformer (meaning he broke with the dominate Roman Catholic tradition) and conducted the majority of his ministerial work in Geneva, Switzerland. Like other Reformers Calvin led his congregation to implement significant changes in form and doctrine, guided by a return to the ultimate authority of Scripture. Other Reformers, such as Martin Luther and Ulrich Zwingli were taking on the same challenge; however, Calvin emerged as the prominent systematic theologian of the bunch and distinguished himself with his work, Institutes of the Christian Religion - a work that has never been out of print. At this point we still have no Baptists on the scene. However, at the turn of the seventeenth century our first groups that became known as Baptists began to emerge. By that time two theological streams of Protestantism had developed from which Baptists could be nourished. A theology that emphasized God's sovereignty in salvation and human affairs had developed with the first generations of Reformers (we'll go ahead and call it Calvinism) stood in contrast to a theology that emphasized man as a free agent in regards to salvation and human affairs. This second kind of Protestant theology was a reaction to the first kind that preceded it. This theology came to be called Arminianism, deriving it's label from Jacob Arminius, a Dutch theologian who had taken Calvin to task on some of his theological views. One should note that the disagreements then were as strong as they are now. As Baptists emerged, the first ones stepped into the Arminian stream. These had much in common with our faith cousins, the Anabaptists. These first identifiable Baptists, who were Arminian are historically observable around 1608-12, first in Holland, then England. However, the other stream of English Baptist development that swelled into a river were those of the Calvinistic mindset. These congregations of Baptists first emerge in the 1630s, becoming the more plentiful kind of Baptists. Therefore, from the beginning Baptists have had this theological dichotomy in regards to the doctrine of salvation. This was also the case in the American colonies and throughout the development and growth of Baptists in the United States. Calvinism has surged and waned in popularity through 400 years of Baptist history. In recent years Southern Baptists have been experiencing a resurgence, which implies it's always been there, but is now gaining a new generation of adherents. This resurgence of Calvinism in the SBC has been completely and totally caused by the conservative resurgence within the SBC during the last two decades of the twentieth century. Ironically, that resurgence was predominately led by non-Calvinists. However, a return to the authority of Scripture inevitable backtracked to a more conservative Reformed theology. It is a fact that liberalism sprung from the theological soil of Arminianism. A liberal Calvinist is a contradiction in terms. (I'm speaking primarily in regards to views on the inspiration and infallibility of the Bible). Also, even those who were non-Calvinists who led the conservative resurgence were not true Arminians. So, are Southern Baptists more Arminian or Calvinistic in their collective theology? Most, I believe are neither Arminian nor thoroughly Calvinistic. The only Baptists that are thoroughly Arminian are Free Will Baptists. They believe, unlike Southern Baptists, that a person can lose his or her salvation. This is the true litmus test for Arminianism. The theological understanding that true believers will persevere to the end (or in Baptistese, "once saved, always saved"), is a Reformed notion (i.e. Calvinism). I've never met a Southern Baptist who didn't believe this. Every Southern Baptist, whether they know it or not, has been theologically influenced by Calvinism, at least on the idea of perseverance. I believe it's safe to say that even those who are anti-Calvinists are more indebted to and have been more influenced by Calvinism than Arminianism. However, some Baptists today and always have found some tenets of Calvinism theologically unpalatable. Regrettably, I think that there is also a mischaracterization of Calvinism being spun from fear based on an ignorance of history and lack of respect and trust toward Calvinists themselves, which I think overall is unfounded. When you hear some say, "Well, I'm a John 3:16 whosoever will Baptist," the implication is that Calvinists dismiss or diminish the significance of Jesus' words. When you hear someone say, "Calvinists don't believe Jesus died for everyone," the intent seems to be to stir up negative emotions based on our sense of fairness, rather than engaging the relevant biblical texts in a thoughtful manner and truly attempting to understand what the tradition means by the concept termed "limited atonement." When you hear some say, "Calvinism will kill missions," he is projecting an extreme view (hyper-Calvinism) on the whole and is probably uninformed about Baptist history. Baptist history is pregnant with Calvinists. Here are a few examples. The author of The Pilgrim's Progress, John Bunyan - Calvinist. The most prominent eighteenth-century English Baptist theologian, John Gill - Calvinist. The father of modern Protestant missions, William Carey - Calvinist. The prince of preachers, Charles Spurgeon - Calvinist. The founder of The Southern Baptist Theological Seminary, James Petigru Boyce - Calvinist. And there are many, many others. Baptists in general and Southern Baptists in particular have always been either consistent Calvinists or had Calvinistic theology to some degree embedded in them. This is just the historical fact. With the rise of liberalism Calvinism became a marginalized minority voice within Baptist life, but with the conservative resurgence in the SBC Calvinism is naturally finding the right soil for new growth. This is not a surprise. With all this said, now let me clearly say this: Calvinism is not the Gospel of Jesus Christ. Calvinism is an interpretation and explanation of the Gospel. The Gospel is what God did in His Son, Jesus, and what that means to humanity. Calvinism is an understanding of the Gospel. It is Augustine's famous, "faith seeking understanding." My appeal to Southern Baptists is to understand the history of Calvinism within Baptist life and avoid the hysteria. My hope is that all our theology, including Calvinism, will be measured by its faithfulness to the clear teachings of Scripture, not by our emotions, traditions, or the company we keep. Southern Baptist life has been and ought to continue to be informed and gracious enough to be welcoming of Calvinists and non-Calvinists alike. Our cooperation with one another is about the Gospel and fulfilling our Master's command to take it to the nations. What???? Baptists didn't emerge until the 1600's??? Just kidding! This is a great post that is needed in Southern Baptist circles. Though I personally do not embrace all of the "Doctrines of Grace," to say that Calvanism is un-Baptistic is to demonstrate great ignorance on Baptist History. Southern Baptists find their roots in the Particular Baptist camp, which was thoroughly Calvanist. The issues raised by this persuasion of theology should cause us to search the scriptures as opposed to attacking brothers and sisters in the Lord. May we also flee from the extremes of either side, which leads one into heresy. Thank you Dr. Cornett for your blog and for how you continue to bless me through your writing as you did through your teaching at Mid-America. May the Lord continue to use you in mighty ways. Thanks Neil, hope you're well these days. I do hope we can be gacious, sane and informed around the SBC on this issue. Jose, your comments are most welcome; gracious and intelligent ones preferred. When it comes to the adult non-believer who converts to the Christian faith, Arminians, Calvinists and Lutherans are in full agreement: salvation occurs when the sinner believes. Baptism is not a necessary requirement to be saved. We have theological differences in how believing occurs, but we all believe that the second a sinner believes he is saved. Matthew 22:14 For many are called , but few are chosen." The chosen are not those who were supposedly, unconditionally selected, for salvation. The chosen have to be suited for election. Matthew 22:2-3 "the kingdom of heaven may be compared to a king who gave a wedding feast for his son. 3 And he sent out his slaves to call those who had been invited to the wedding feast, and they were unwilling to come. Matthew 22:11-14 "But when the king came to look over the dinner quests, he saw a man there who was not dressed in wedding clothes, 12 and he said to him, 'Friend, how did you come in here without wedding clothes?" 13 Then the king said to the servants, 'Bind him hand and foot, and throw him into the outer darkness; in that place there will be weeping and gnashing of teeth.' 14 For many are called but few are chosen." When you stand before the KING OF KINGS are you going to be speechless when He asks; where are your wedding clothes? WHAT WILL YOU SAY WHEN HE ASKS YOU WHY YOU REJECTED IMMERSION IN WATER FOR THE FORGIVENESS OF YOUR SINS. WHAT WILL YOU ANSWER BE, WHEN JESUS ASKS YOU WHY YOU THOUGHT YOU COULD ENTER THE KINGDOM OF GOD WITH BEING CLOTHED IN CHRIST?